!! OMG, quote of the day: Kunty Karl sparks outrage over migrant Holocaust comments !! 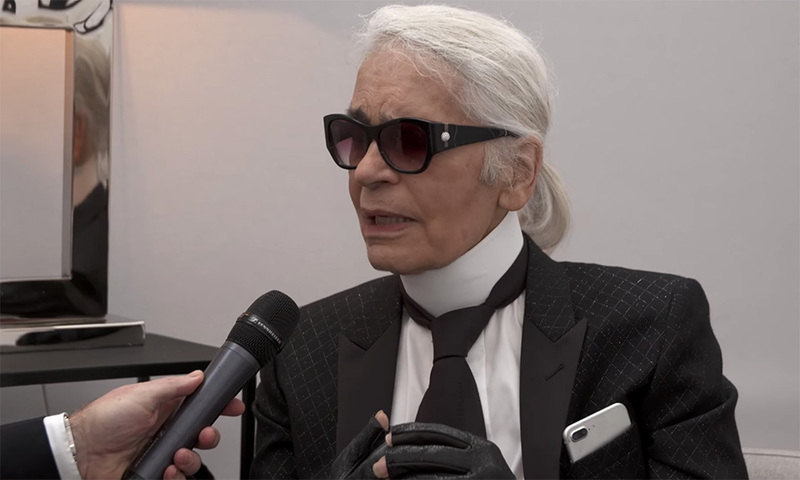 – Karl Lagerfeld, slamming Angela Merkel for opening Germany’s borders to migrants. 6 Comments on "OMG, quote of the day: Kunty Karl sparks outrage over migrant Holocaust comments"
Karl has been losing it ever since he turned 80. The last time we were all at Donnatella’s she banned him from ever coming back because he burnt a hole in a gown she was wearing. All because she said she was thinking about bringing back crimped hair with the styling of her next runway show. Says the designer whose father (and his family and family business) was shielded from Nazi deprivations due to helping that government. And let’s not forget, the Nazis weren’t Muslims. If everyone would like to look at Poland right now, you’ll see the Jews “worst enemies.” At least historically. They are campaigning in the streets with torches — not the Syrian kids seeking refuge from war to attempt to live a peaceful life in Germany. You consider that comment “Kunty”?? kunty karl is the nickname bestowed on lagerfeld years ago by dlisted.